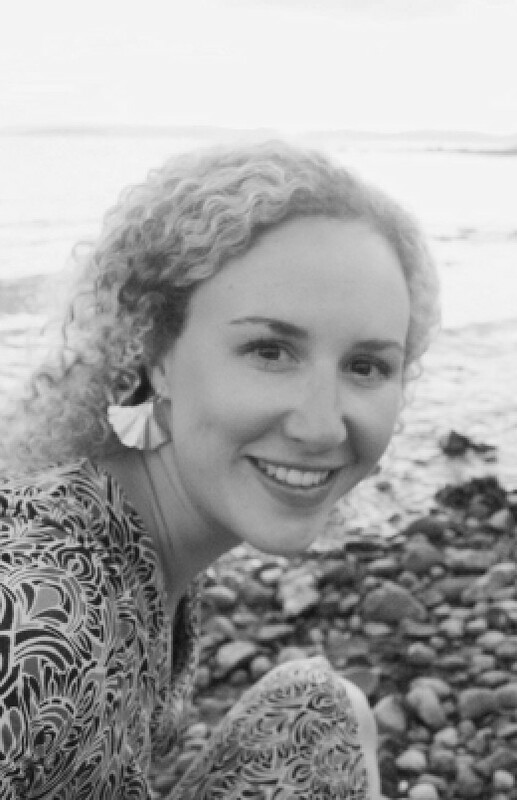 This week Adina Pusok, postdoctoral fellow at the Institute of Geophysics and Planetary Physics (IGPP) at Scripps Institution of Oceanography, University of California San Diego, USA, discusses what it is like to be an Early Career Scientist within the EGU Geodynamics division. The terms “Early Career Scientist” (ECS) or “Young Scientist” (YS) are now so widely used in the scientific community, that certain meetings, sessions, awards, and social events are entirely dedicated to promote this group of scientists. But what are ECS and YS? These terms were created to describe scientists in the early stages of their career. Because the term Young Scientist might have an age connotation and make some scientists feel excluded, the EGU has recently adopted the ECS term instead. The definition of ECS on the EGU page says “an Early Career Scientists (ECS) is an undergraduate or postgraduate (Masters/PhD) student or a scientist who has received his or her highest degree (BSc, MSc, or PhD) within the past seven years*. (*with additional year(s) of parental leave time per child, where appropriate)”. Yet, it is still not clear why there is a need to create a subgroup and organize specific activities for this group, when the research community is considered open, where everyone can bring contributions in an equal manner? To answer this, I look back at the first meetings I attended as a PhD student. I remember I felt intimidated by the experience and scientific eloquence of the more established scientists (especially the “big names” in the field), only because I knew there was still a lot for me to learn and experience to gain. 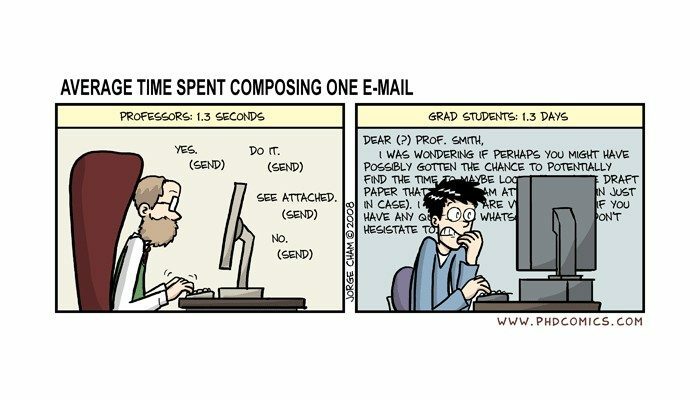 And I am sure I was not the only PhD student experiencing this. The truth is, ECS have different needs compared to established scientists. The list of challenges for ECS is long (see this special issue in Nature). Besides doing research, ECS need to promote their work, socialize more to expand their network, enter the very competitive job market, and not to mention present and defend their scientific achievements to an unknown audience. For many established scientists, these are stages past gone. Everyone knows them, everyone talks about their work. As an ECS, I value the interactions with established scientists, but I also welcome events organized for ECS (i.e. career development or social events, such as grant writing and academic presentation courses). However, I feel the best outcome is achieved when both established and early career scientists support and participate in these events. Which is why I agreed to be the ECS representative for the EGU Geodynamics division (GD) – to bring together and improve visibility of ECS in the GD community. And for the occasional beer and karaoke special sessions (see last week’s blog post) with other ECS Geodynamicists. What does EGU do to support ECS? A large proportion of the Union’s members consists of scientists in the early stages of their career. For this reason, EGU wants to offer support to this group, by providing reduced conference fees, recognizing outstanding students, awarding travel grants, organizing short courses, arranging networking possibilities and more. Besides, the EGU encourages further support at the division level, such as outreach activities (e.g. blogs and social media), social events, mentoring programs or short courses at the General Assembly. All ECS need to do is pay attention to the opportunities provided. Probably a lot more could be done, but small contributions can already make a huge difference. For example, the ability to attend a conference due to an awarded travel grant can be very important to meet other scientists and create exposure for your research, create future collaborations or even sign up for that future job. What can ECS do for themselves? Other than help create the environment they want to be in? It might sound idealistic or as too much work involved, but again, small steps can go a long way. Anything from organizing to participating, from being informed to inform others, from taking part in outreach to supporting outreach activities, from mentoring to being mentored, the ECS can contribute in various ways to their own and their community’s development. In Geodynamics, there are many enthusiastic and fun ECS that get together at meetings and workshops, create friendships and collaborations across national and academic borders. I’ve met enough of them to believe that GD ECS can create a more coherent structure under the EGU umbrella. For example, within less than 1 year, the GD ECS have managed to launch the EGU GD Facebook page, organize social events at major conferences (AGU Fall Meeting 2016, EGU General Assembly 2017), and recently, launch the EGU Geodynamics Blog. More things can be done though. There is currently a strong need for scientists to become more actively involved in science public outreach worldwide, and this is one of the directions where GD ECS can contribute easily. Geodynamics is a field known for “beautiful pictures” that show the complexity and dynamics of natural processes. Thus, highlighting the diversity of Geodynamics studies (numerical simulations, laboratory experiments, or data compilations) to a wider audience can benefit the research community at large. Because all these initiatives are run by members, there is always a need for motivated people with refreshing ideas. This is why, I encourage other ECS to bring forward new ideas that we can develop within the GD division (see how to get involved). Along with the rest of GD ECS volunteers, I look forward to working with you! As the ECS GD representative, I am the link between the EGU and the ECS GD community. I provide EGU with feedback from students and early career researchers, so that the union can take action to improve the ECS activities at the EGU General Assembly and maintain the support for early career scientists throughout the year. I am also involved in public and community outreach of the Geodynamics division. Let me just talk to you about what I have been doing with my free time recently: I discovered a feature from Google Books named Ngram viewer which allows you to make graphs that show how words or phrases have occurred in a selection of books (e.g., English) over the selected years. I have of course been playing with this thing! You can imagine how exciting my weekends are. In all seriousness, though: I highly recommend you check it out sometime, as you can do some pretty fun things with it. First of all, by looking at the number of mentions in books, you can quickly determine when a certain research field was first established as illustrated in the graph below. (Structural) Geology has always been an older branch of Earth sciences, as it originated in field observations rather than instruments or computers. James Hutton (1726-1797) was the Father of Modern Geology, as he developed the theory of uniformitarianism (= the processes on Earth that we see today also occurred in the past). His work was popularised in the 1830s by Charles Lyell, who also coined the phrase ‘The present is the key to the past’. Indeed, mentions of structural geology start to occur somewhere in the 1850s when Hutton’s and Lyell’s ideas have been firmly established in the scientific community. According to our graph seismology originated in the 1850s. Indeed, a quick google search will tell you that the word ‘seismology’ was coined in 1857 by Robert Mallet, who also laid the foundation of instrumental seismology. Occurrence of seismology, tectonophysics, structural geology, and geodynamics in English books from 1800-2008 with smoothing factor 4. Apart from discovering when a certain field was established, it is also possible to see the direct effect of certain global events on the publishing history of a particular field. One of the most convincing cases stems from the tsunami research area. After the devastating 2004 Sumatra Boxing day earthquake and tsunami, interest in tsunamis surged in 2005 and has since remained much more popular than before (at least up until 2008). Occurrence of tsunami in English books from 1800-2008 without a smoothing factor. There is an increase in publishing after the 2004 Sumatra earthquake and tsunami. Now on to the really fun part: karaoke. A phenomemon in the geodynamics community that is hard to get around. 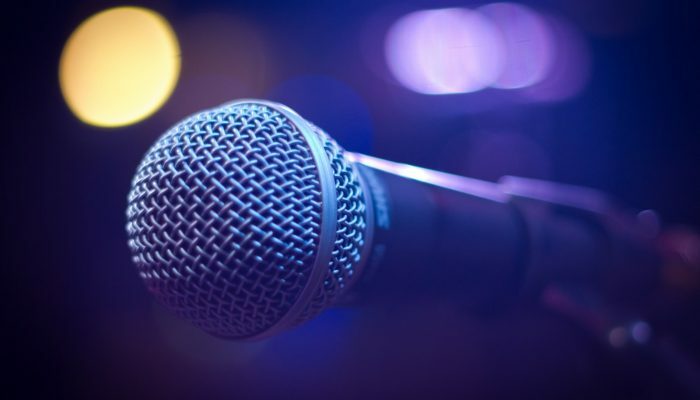 We have all been working and networking very seriously at conferences before we suddenly got swept away to the nearest karaoke bar. If you look at the graph comparing the amount of mentions of seismology, geodynamics etc., you will notice that there is a decline in mentions starting roughly in the 1990s. There could of course be many reasons for this: maybe the Google database is, as of yet, still incomplete, so the ongoing upward trend cannot be seen; maybe too much has been published, so that the relative percentages of words mentioned has declined, even though the absolute amount of published works containing these works has increased; but maybe.. just maybe, the reason is karaoke, as it started to spread around the world in the 1990s. Occurrence of seismology, tectonophysics, structural geology, geodynamics, and karaoke in English books from 1800-2008 with smoothing factor 4. How does computer programming work? I need a hero! 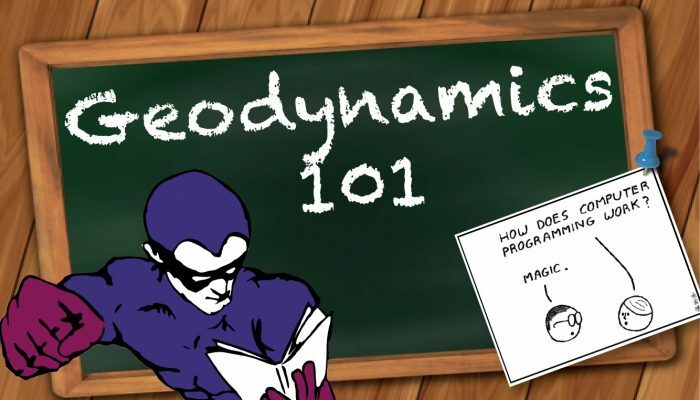 The Geodynamics 101 series serves to show the diversity of topics and methods in the geodynamics community in an understandable manner for every geodynamicist. PhD’s, postdocs, full professors, and everyone in between can introduce their field of expertise in a lighthearted, entertaining manner and touch on some of the outstanding questions and problems related to their method of choice. 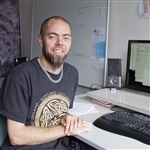 This week Dr. Cedric Thieulot, assistant professor at the Mantle dynamics & theoretical geophysics group at Utrecht University in The Netherlands, discusses the advantages and disadvantages of writing your own numerical code. Do you want to talk about your research area? Contact us! In December 2013, I was invited to give a talk about the ASPECT code  at the American Geological Union conference in San Francisco. Right after my talk, Prof. Louis Moresi took the stage and gave a talk entitled: Underworld: What we set out to do, How far did we get, What did we Learn? Underworld was conceived as a tool for modelling 3D lithospheric deformation coupled with the underlying / surrounding mantle flow. The challenges involved were to find a method capable of representing the complicated, non-linear, history dependent rheology of the near surface as well as being able to model mantle convection, and, simultaneously, to be able to solve the numerical system efficiently. […] The elegance of the method is that it can be completely described in a couple of sentences. However, there are some limitations: it is not obvious how to retain this elegance for unstructured or adaptive meshes, arbitrary element types are not sufficiently well integrated by the simple quadrature approach, and swarms of particles representing volumes are usually an inefficient representation of surfaces. Aside from the standard numerical modelling jargon, Louis used a term during his talk which I thought at the time had a nice ring to it: hero codes. In short, I believe he meant the codes written essentially by one or two people who at some point in time spent great effort into writing a code (usually choosing a range of applications, a geometry, a number of dimensions, a particular numerical method to solve the relevant PDEs(1), and a tracking method for the various fields of interest). 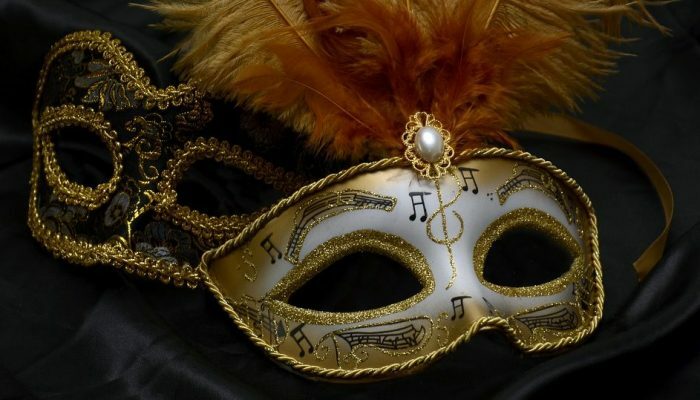 In the long list of Hero codes, one could cite (in alphabetical order) CITCOM , DOUAR , FANTOM , IELVIS , LaMEM , pTatin , SLIM3D , SOPALE , StaggYY , SULEC , Underworld , and I apologise to all other heroes out there whom I may have overlooked. And who does not want to be a hero? The Spiderman of geodynamics, the Superwoman of modelling? Louis’ talk echoed my thoughts on two key choices we (computational geodynamicists) are facing: Hero or not, and if yes, what type? Speaking from experience, it is an intense source of satisfaction when peer-reviewed published results are obtained with the very code one has painstakingly put together over months, if not years. But is it worth it? On the one hand, writing one own’s code is a source of deep learning, a way to ensure that one understands the tool and knows its limitations, and a way to ensure that the code has the appropriate combination of features which are necessary to answer the research question at hand. On the other hand, it is akin to a journey; a rather long term commitment; a sometimes frustrating endeavour, with no guarantee of success. Let us not deny it – many a student has started with one code only to switch to plan B sooner or later. Ultimately, this yiels a satisfactory tool with often little to no perennial survival over the 5 year mark, a scarce if at all existent documentation, and almost always not compliant with the growing trend of long term repeatability. Furthermore, the resulting code will probably bear the marks of its not-all-knowing creator in its DNA and is likely not to be optimal nor efficient by modern computational standards. This brings me to the second choice: elegance & modularity or taylored code & raw performance? Should one develop a code in a very broad framework using as much external libraries as possible or is there still space for true heroism? It is my opinion that the answer to this question is: both. The current form of heroism no more lies in writing one’s own FEM(2)/FDM(3) packages, meshers, or solvers from scratch, but in cleverly taking advantage of state-of-the-art packages such as for example p4est  for Adaptive Mesh Refinement, PetSc  or Trilinos  for solvers, Saint Germain  for particle tracking, deal.ii  or Fenics  for FEM, and sharing their codes through platforms such as svn, bitbucket or github. In reality, the many different ways of approaching the development or usage of a (new) code is linked to the diversity of individual projects, but ultimately anyone who dares to touch a code (let alone write one) is a hero in his/her own right: although (super-)heroes can be awesome on their own, they often complete each other, team up and join forces for maximum efficiency. Let us all be heroes, then, and join efforts to serve Science to the best of our abilities. Romeo and Juliet famously had some identification problems: they met, fell in love, and only afterwards realised that they were arch enemies, which *spoiler* resulted in their disastrous fate. Oops. Of course, this could happen to anybody. However, we do not want this to happen to you! 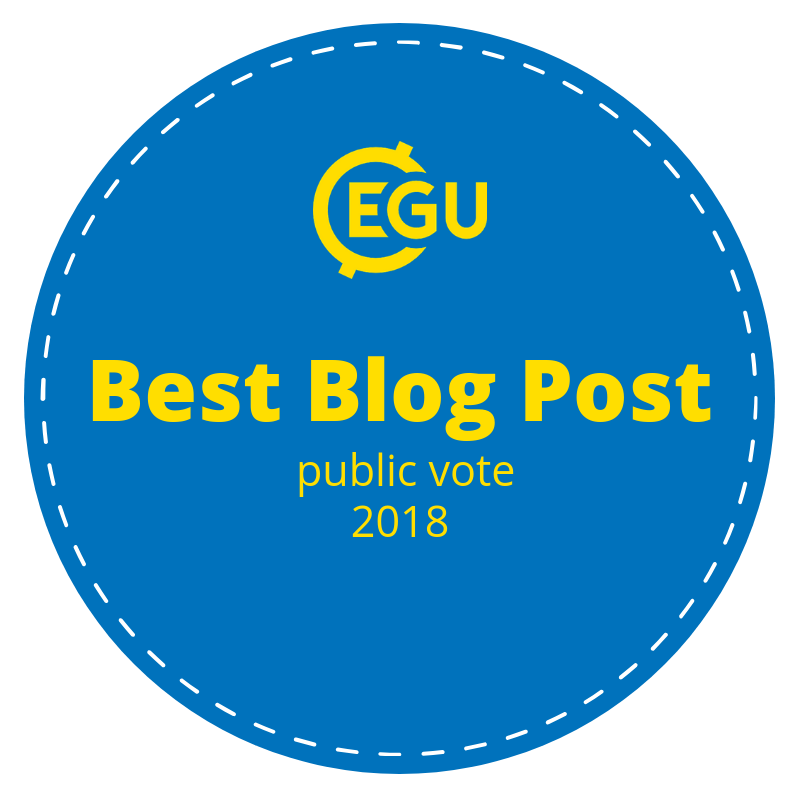 We want you to know who we, the EGU Geodynamics Blog Team, are! So, in order to prevent any mishaps during future conferences and to make sure you know who you can contact in case of imminent writing inspiration for a guest blog post or questions regarding (ECS) Geodynamics activities of EGU, we proudly present our EGU Geodynamics Blog Team here. 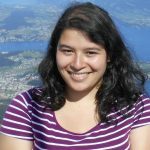 I am a PhD student at ETH Zürich in Switzerland. I am studying tsunamigenic earthquakes with a range of interdisciplinary modelling tools, such as geodynamic, dynamic rupture, and tsunami models. Some of my current research projects include splay fault propagation in subduction zones, and the 2004 Sumatra-Andaman earthquake. 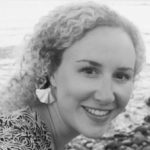 I’m the Editor-in-chief of the GD blog team, so my job is to make sure the blog runs smoothly and regularly. Using my love for interdisciplinary research and trivia, I hope to showcase a variety of geodynamic topics in a broad and entertaining light on this blog. I’m very excited for this blog! Are you? You can reach me at iris.vanzelst[at]erdw.ethz.ch. involved in any type of outreach activities. Within the GD team, I am editor of this blog. have any ideas for guest blogs, feel free to contact me! You can reach me at luca.dalzilio[at]erdw.ethz.ch. 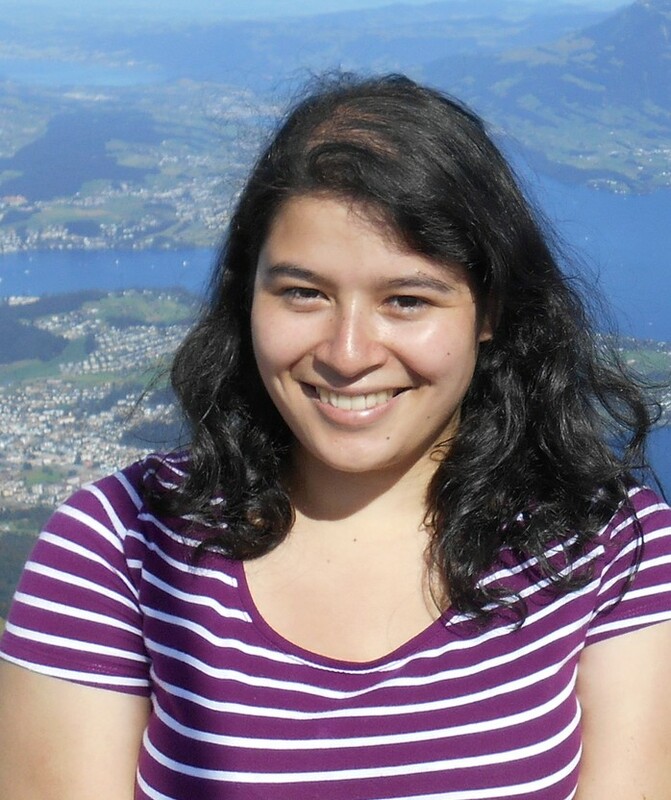 I am currently a postdoctoral fellow at GFZ Potsdam, Germany. My research there focuses on 3D continental rift dynamics and the magma-tectonic feedback on rift evolution. 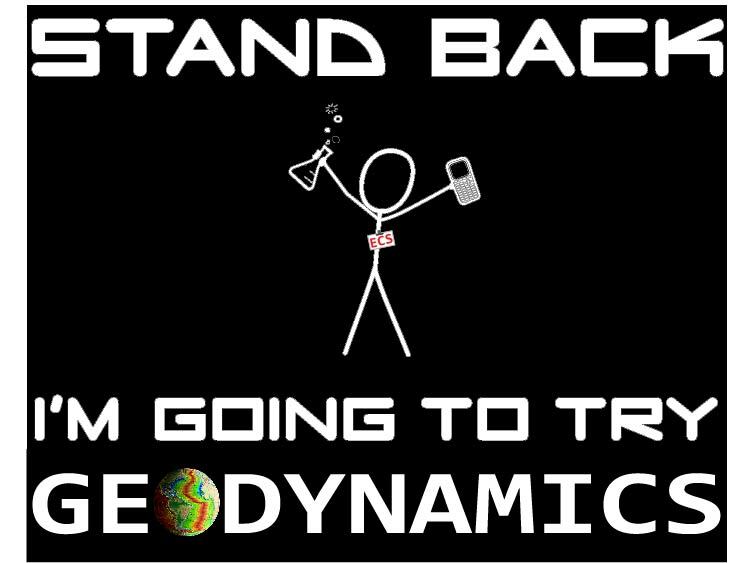 I’ve been interested in geodynamic modeling ever since my Bachelor and Master studies at Utrecht University in the Netherlands and investigated instantaneous and time-dependent regional subduction during my PhD. In my spare time I love going out for a hike, bike ride or kayak trip, taking care of my succulent collection, or I curl up on the couch with a good book! You can reach me at acglerum[at]gfz-potsdam.de. I am a postdoctoral researcher at the Centre for Earth Evolution and Dynamics (CEED) at the University of Oslo, Norway. My research involves integrating multiple geological and geophysical datasets in order to link plate tectonics and mantle structure through time. I hunt for evidence for constraining the opening and closure of ocean basins on global and regional scales, most recently in the Arctic, North Atlantic, and Pacific domains. Having received my PhD from the University of Sydney, I’ve swapped sunny Aussie beaches for snow-laden northern adventures. I’m excited to be part of the GD ECS team as an Editor, and a member of the broader EGU community. You can reach me at g.e.shephard[at]geo.uio.no or find a sporadic tweet at @ShepGracie.